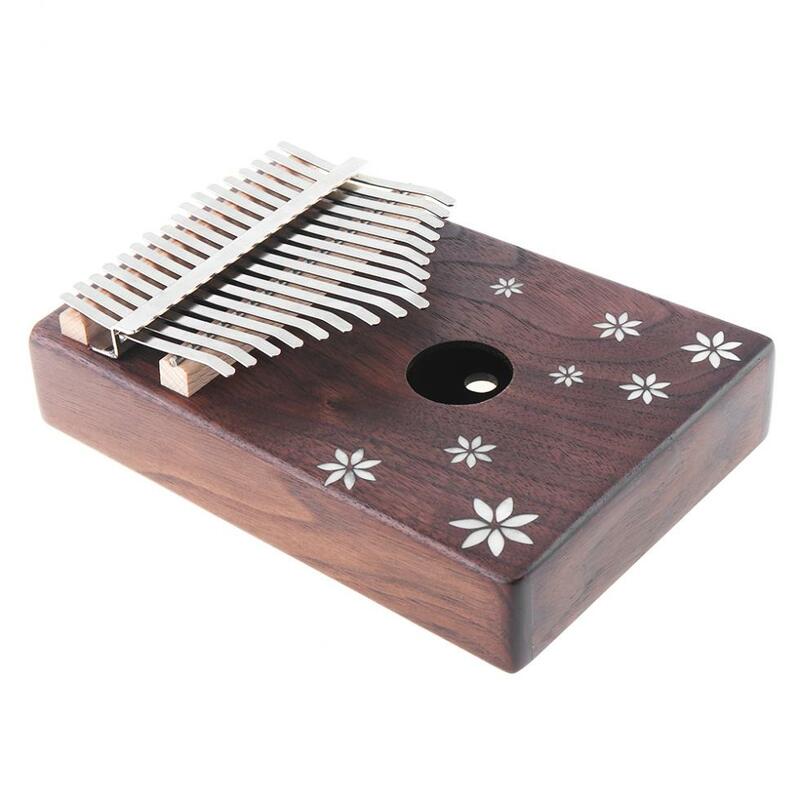 - Made of high grade solid acacia wood, beautiful wood grain, ideal for musical instrument materials, warm and full tone. 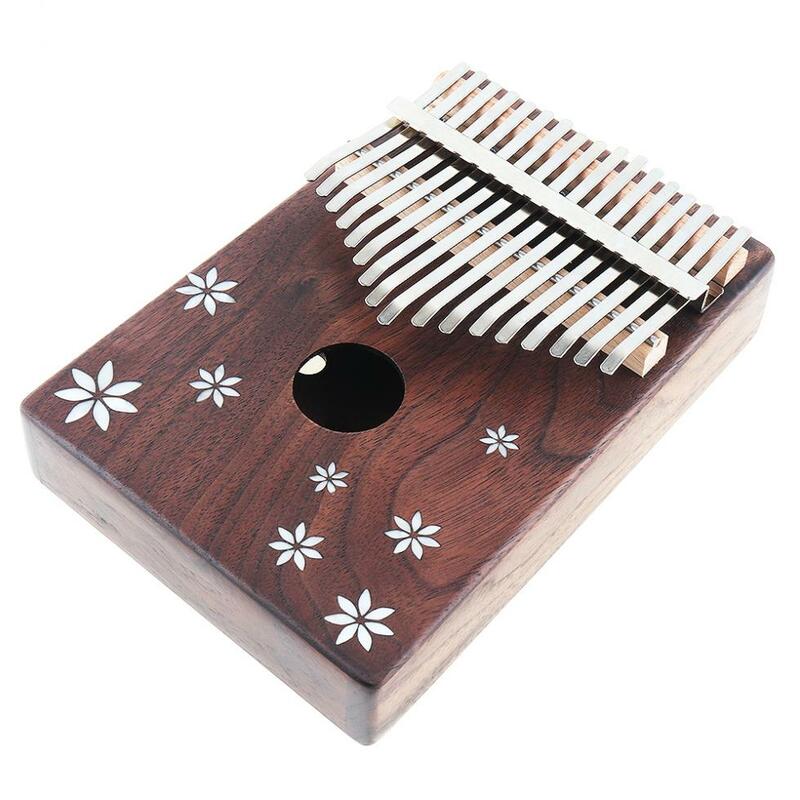 - With two hole in the back. 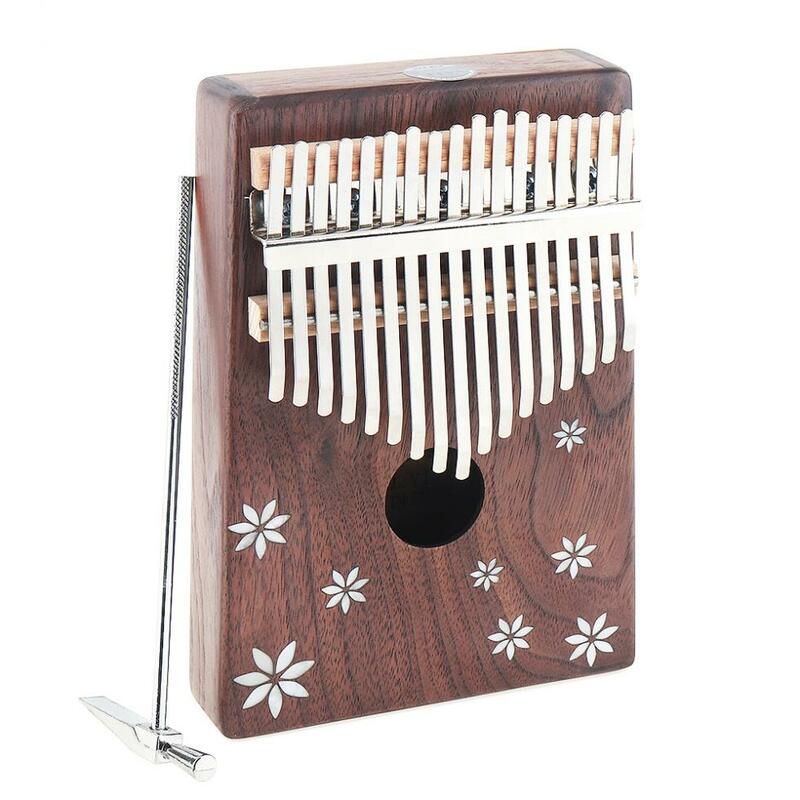 Use your hands press on the hole to increase the resonant of the sound. 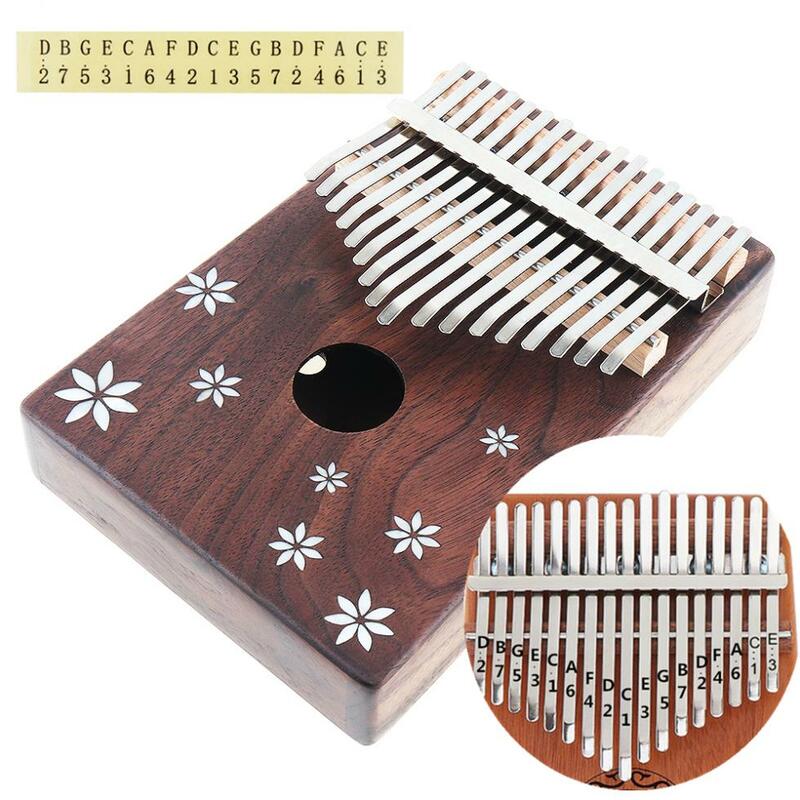 - The keys is made of ore metal, toughness strengthened, with bending design to eliminate the pain of fingers. 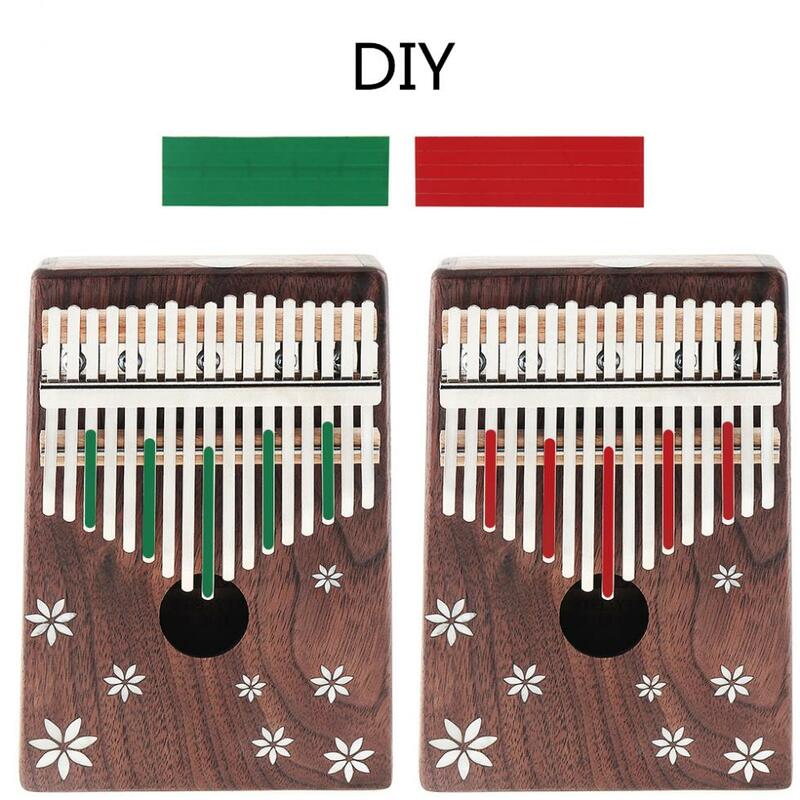 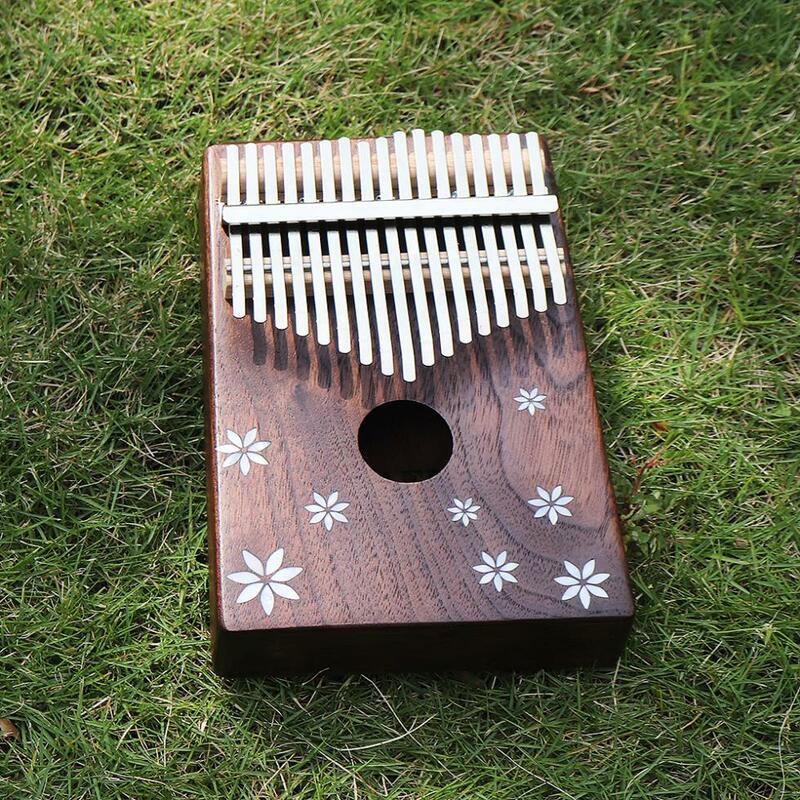 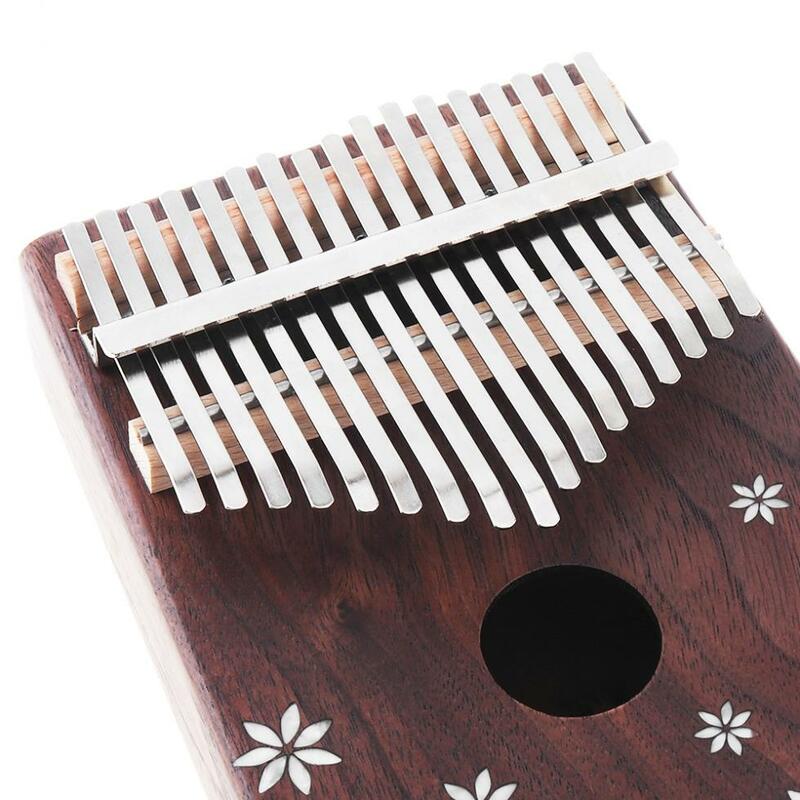 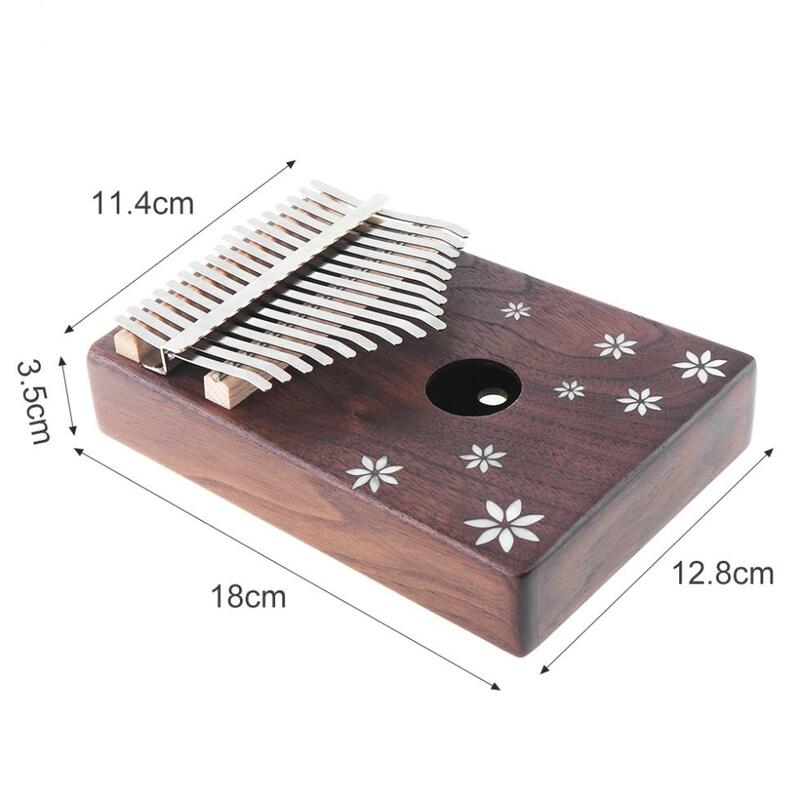 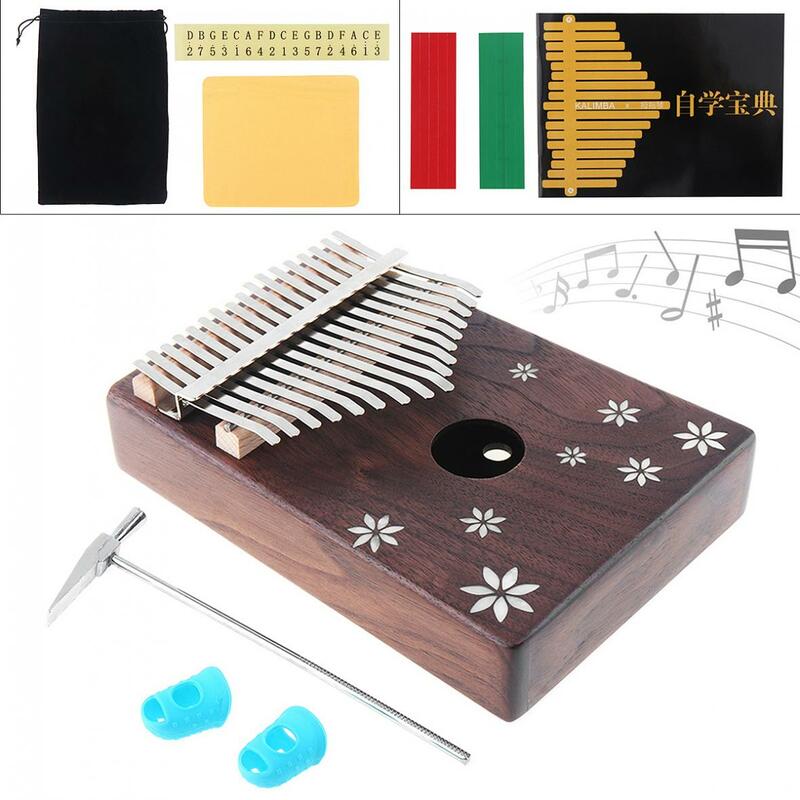 - The tone stickers and red blue stickers used to paste on the tone key make the kalimba easy to use and look nice. 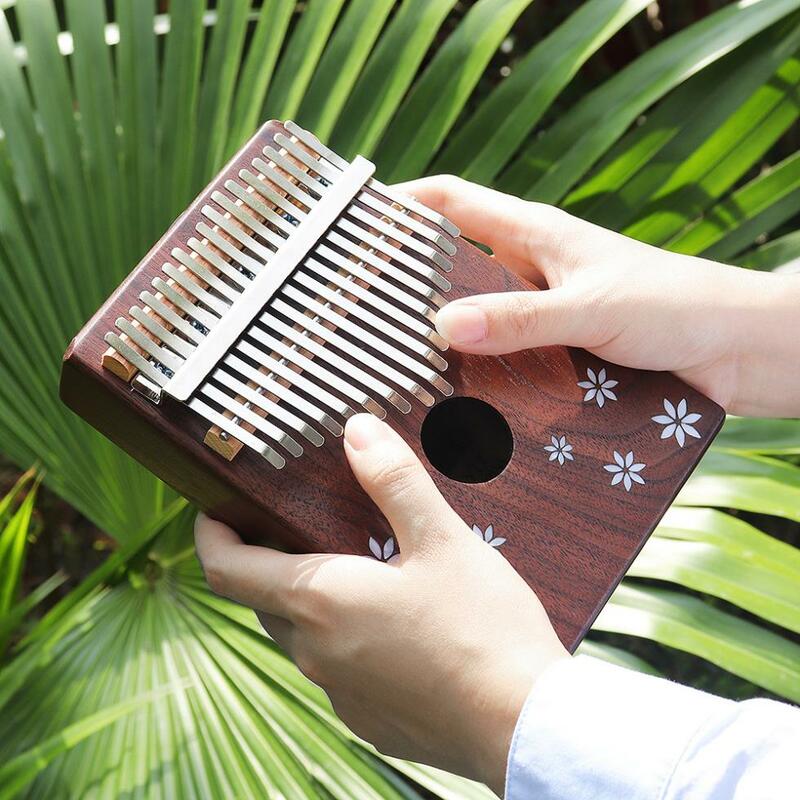 - It is said that the music played by this instrument is not only able to rid the patient of evil, but also play a role in praying for rain, it is one of the most popular instruments.